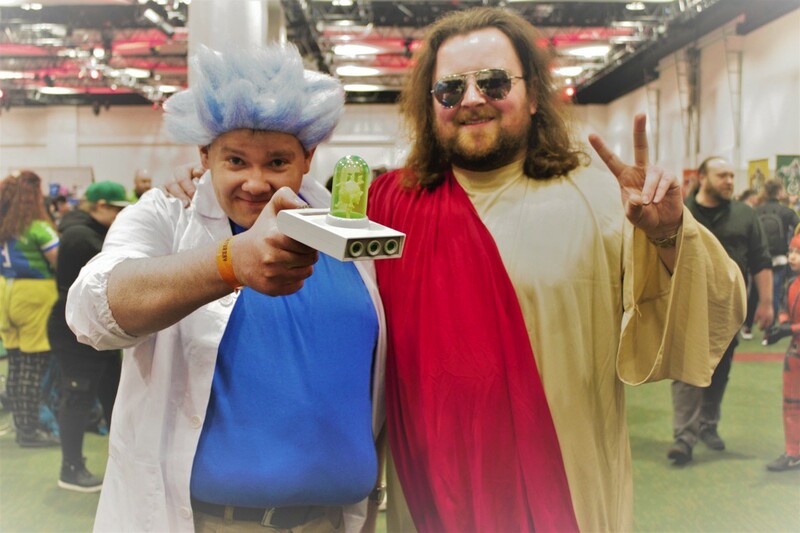 Well it has been over a week now since Dublin Comic Con has passed and everything has gone relatively back to normal. After spending the Friday evening at the exclusive Press event, which consisted of meeting fellow writers from independent entertainment websites, including meeting fellow ComicBuzz writer – Paula, who covers our Movie reviews and Red Carpet Interviews. We attended a panel, hosted by Brian Lloyd from Entertainment.ie. A man who is calm and collected when it comes to hosting panels, but is certainly a fellow geek at heart. As we witnessed the initial heartbreak when he heard Jonathan Frakes would not be attending the panel, due to only just touching down in Dublin. And after all Brain did, to sculpt his beard to resemble Commander Riker. However we did have the most popular Power Ranger in the World – Jason David Frank, and James Marsters, who is most recognisable for playing the British vampire Spike in Buffy The Vampire Slayer. Both told some incredible stories, including the details of what happened in 2017 between David and Jean Claude Van Damme. I returned for the main event on the Saturday, which was buzzing with people! From teenagers, to pre teens, adults, parents and even grandparents. I even spotted a very young fan in the queue for photoshoots, who was attending their first comic con at just 10 days old! Start them young people! 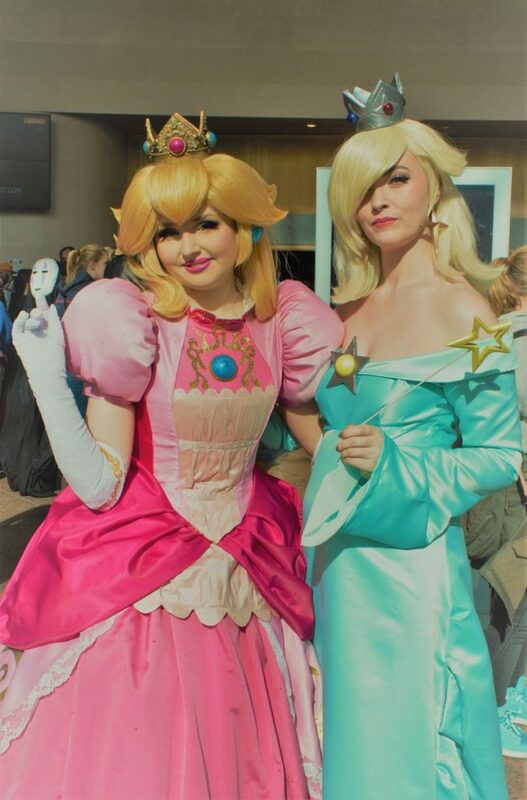 Everyone I met was enjoying themselves, escaping the mundane routine of everyday life to enter a building filled with Princesses, Superheroes, Villians, actors, artists and more. 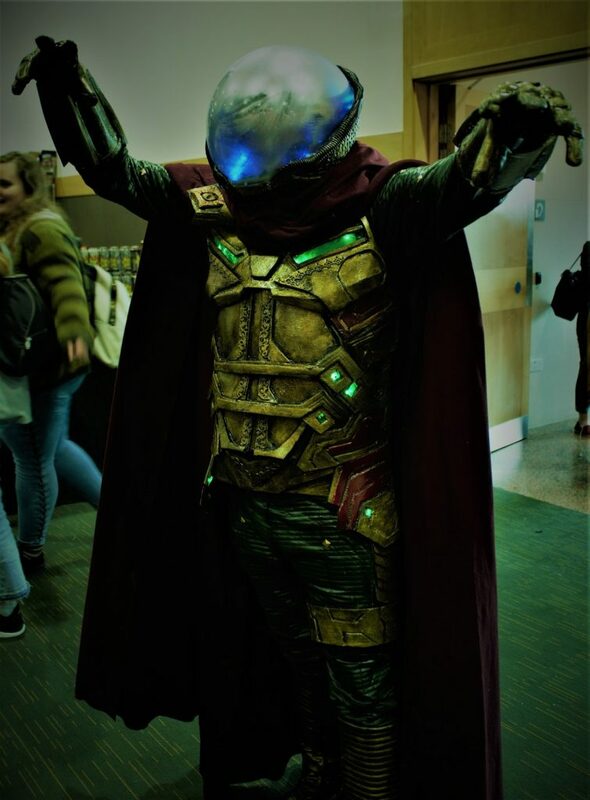 I met some amazing cosplayers, who have spent their hard earned money on crafting their own costumes, to bring their chosen character to life. Some even in the name of charity, such as the Emerald Garrison and Reel Icons Ireland. Now The Irish Guide Dogs is a staple at the convention now for the last number of years, this year’s March event also brought some feathery friends from Raven Haven Aviaries. 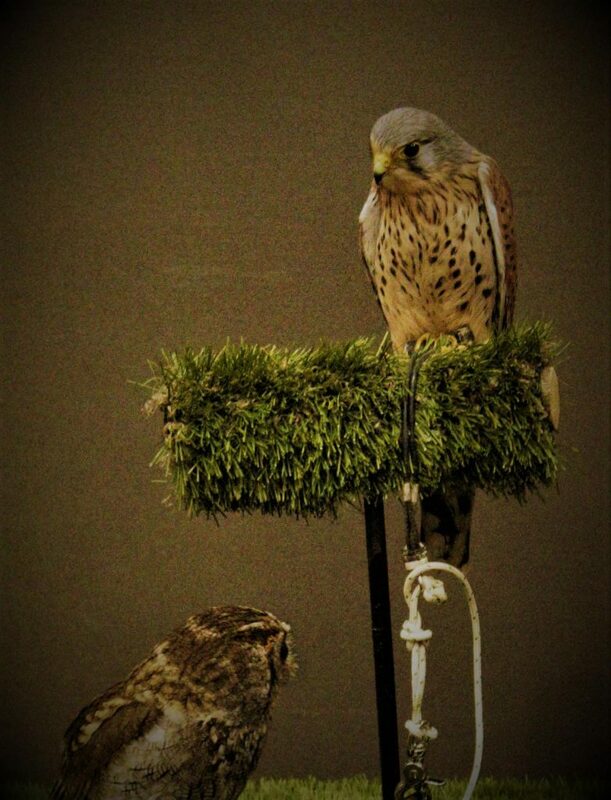 Where attendees could pay for a photoshoot with a raven, owls and hawks. Certainly a unique experience, but not too sure if it is best suited for an indoor event of this size. The same goes for the group that brought the tarantulas, Giant African Snails and lizards. Either way it was a unique experience to get up close to these animals, as well as quickly realising just how big a Raven really is! The interactive sets are a great spot to get some Instagram worthy backdrops. The Raptors returned this year, with two Jurassic Park jeeps. There was also the chance to travel back into the future to escape the dinosaurs, as a DeLorean was present for paid photo ops. With plenty of natural light outside the trade halls, even the hallways provided some ideal spaces for a quick photo shoot. Throughout the weekend you could walk up and meet the Media Guests, talk to them for a bit, get some autographs and at their table, have the opportunity to pay for a selfie. Or go down the professional route, and get a photo op with the guests. Unfortunately the Saturday revealed a severe hiccup when it came to prints, with many having to be retaken due to corrupt SD Cards. However on the brightside, you also got a second chance to do a new pose and meet the guests one on one all over again. 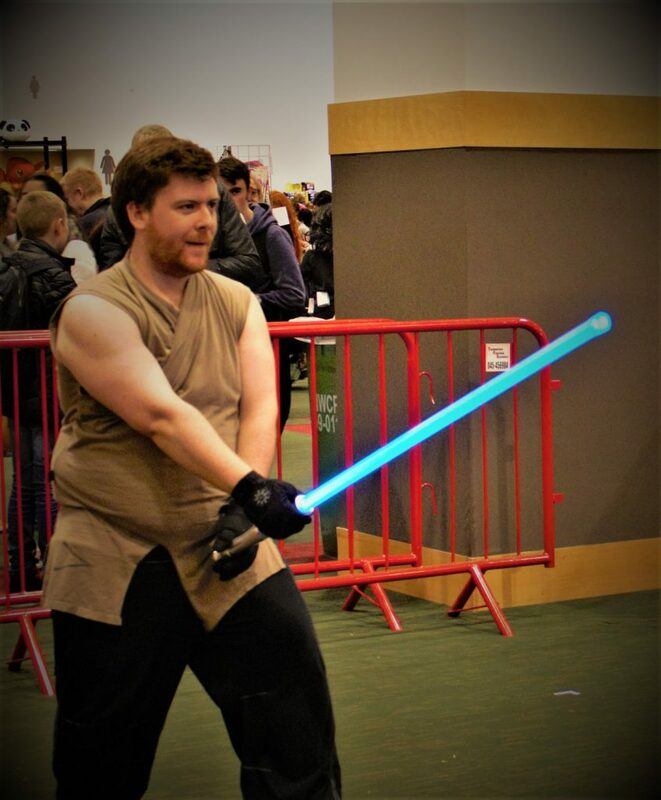 There were some amazing combat demonstrations, from the futuristic lightsaber battles from LudoSport Ireland, to Knights fighting with broadswords by Medieval Armoured Combat Ireland. Certainly not something you could see everyday. With training sessions and tables for sign ups to join their clubs, both groups truly knew how to put on a show. Medieval Armoured Combat Ireland even used their demonstration battles to raise some funds for a childhood arthritis charity. DCC had amazing guests from TV and Movies, not only including Jason David Frank (Green Power Ranger), James Marsters (Spike – Buffy The Vampire Slayer), but also two actors from the Star Trek franchise. Including Jonathan Frakes (Commander Riker) from The Next Generation, but also Doug Jones who plays Commander Saru in Discovery. They also had Kevin Sorbo, who was the 90’s face for Hercules, playing the main character in the TV series. There were also many other guests, including a Voice Actor, Comic Artists & Writers, as well as the duo behind Romero Games. 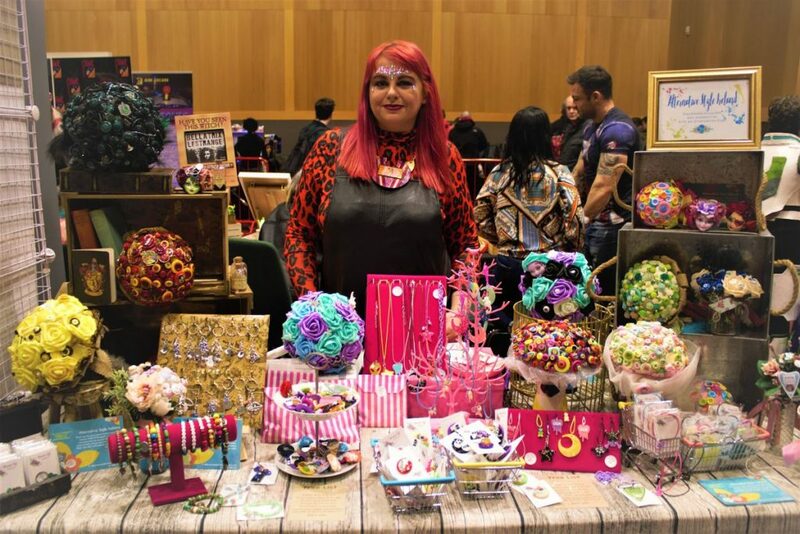 The trade hall on the main floor was filled with stalls, with many Irish vendors selling their wares. With anime and pop culture merch a plenty, comics & manga, Japanese and American snacks, as well as a stall that sold prop swords. With information desks on joining clubs, such as the Emerald Garrison, a cosplay repair station, numerous Princesses and SuperHeroes posing to meet little fans. The ground floor was exciting. The second floor held the photoshoot and guests signing area, as well as a very sizeable Artist Alley. With many talented people who have broken into the comic book industry, does trying to and others who have used their skills to create some spectacular items. One of which I will be buying my own wedding bouquet from in the near future. I would only have come across this designer (Alternative Style Ireland), just by attending this event. Somethings are just meant to be. 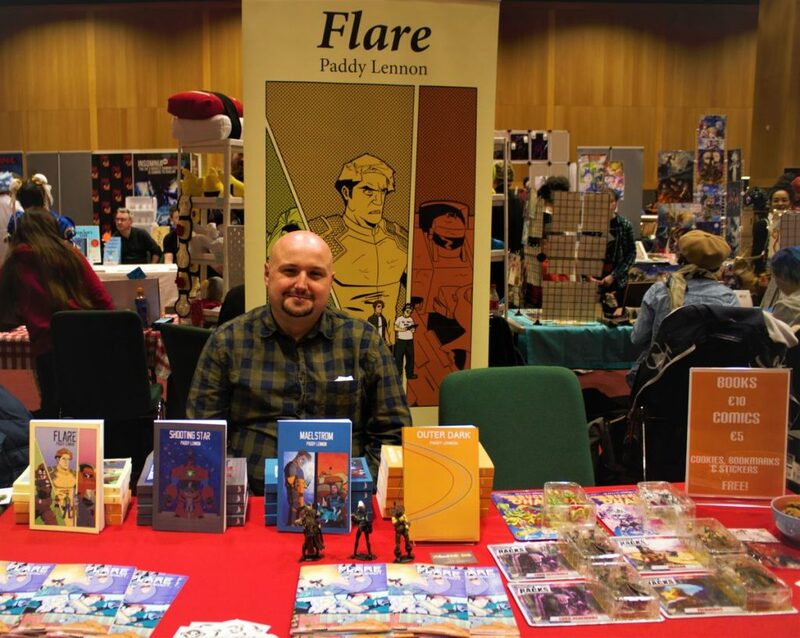 Even after the photoshoot issues and the disappointing food options, Dublin Comic Con has been yet another resounding success. I will certainly be returning for their main August event, in which the first guests should be announced in the near future. Highly looking forward to August now and seeing you all again in your new cosplays!